Κάντε τις εκδρομές σας με το αυτοκίνητο έχοντας την τσάντα παγωνιέρα για φαγητό, ποτά αντικείμενα. Συμπαγής, βολική χρήσιμη. 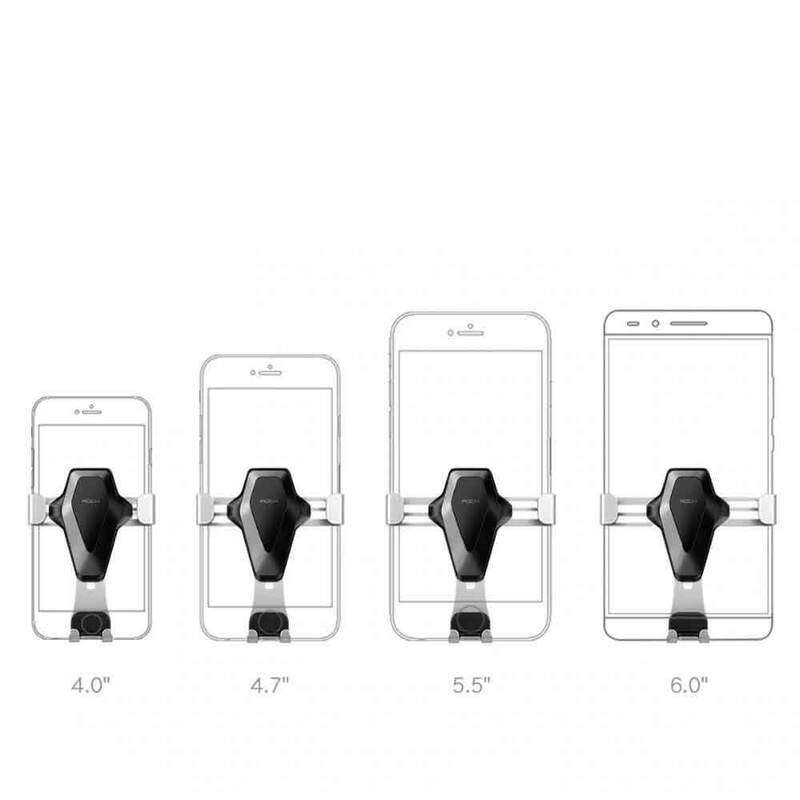 Mounts all cellphones, MP4 and GPS devices up to 4-inch long. Silicone lined grip keeps your phone or GPS safe and secure. Small size, portable and won't take up much space. Ideal to use in Car, Home or Office etc. Κάντε τις εκδρομές σας με το αυτοκίνητο έχοντας την τσάντα παγωνιέρα για φαγητό, ποτά αντικείμενα. Συμπαγής, βολική, χρήσιμη. you need to clear the surface of Interior Trim panel, then it will be sticked very well. If The weather is cold like in winter, you need little heat the 3M Glue of the net, then it will stick strongly! It can be placed on the car dashboard. 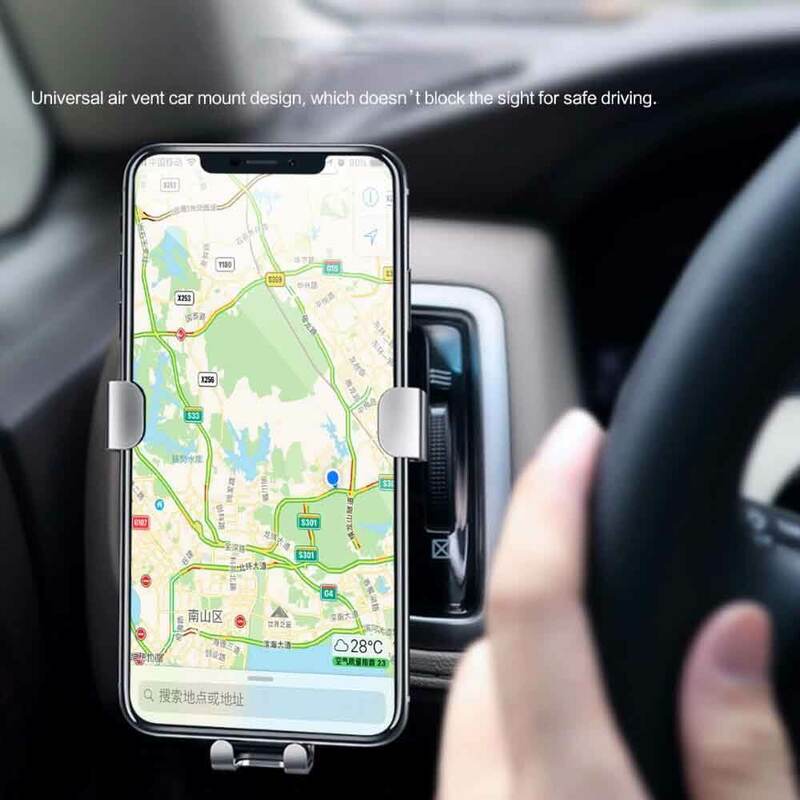 When you driving, your phone can be fixed vertically in the non-slip pad for easy viewing maps. Leaves no mark, is reusable and can be washed with water when it gets dirty. It is both non-slip mat and decoration. This gravity phone mount supports equipment with a thickness of less than 10mm, it works for iPhone 5 / 7 / 8 Plus / HUAWEI Mate 9 and other smartphones between 4.0 - 6.0 inch width. Just put your device on or off and the gravity car mount will automatically lock or release. It takes you one second to pick up or put down your phone when driving. Better to fix your phone, it will not be skewed even driving on the bumpy roads or speed bumps. The special outlet mat will reduce vibrations and noises caused by bumpy roads. This Holder stand just can work for iphone 4 4s ,5 5s ,6 6s ,can't work for iphone 6/6s Plus ,under 200g less. This holder stand can not work directly on the mobile phone shell,if you want to work normal,the phone not use the phone case. Compact and lightweight, easy to insert to air vent and space saving. Environmental and high quality material makes it durable and harmless to your life. Arc-shaped design and soft surface will not do any scratch to your smartphone. Strong magnet provides easy access to mount or remove your phone with single hand,it is very convenient. 360 degree rotation, angle adjustable and safe for using. Four young colors to stand out your personalization and enrich your life. Compatible for device up to 6.0 inch screens, such as mobile phone, MP4/MP5, GPS, PDA etc. Universal holder for mobile phone/GPS/ PDA/ PSP/ iPod/ iPhone/ MP3/ MP4 players . Multi-angle rotation, easy adjustment for optimal viewing You can hang your cell phone in you car with any position you prefer, turn any angle, bends different shape. Weight: 3.77 oz (107 g).